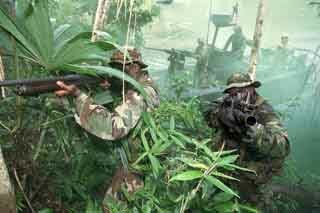 Navy SEALs (Sea, Air, Land) take their name from the elements in, and from which, they operate. Their stealth and clandestine methods of operation allow them to conduct multiple missions against targets that larger forces cannot approach undetected. 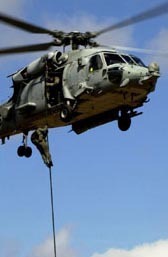 Special Operations is characterized by the use of small units with unique abilities to conduct military actions that are beyond the capability of conventional military forces. Although NSW personnel comprise less than one percent of U.S. Navy personnel, they offer big dividends on a small investment. They are a tactical force with a strategic impact. 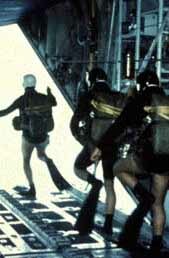 SEALs are superbly trained in all environments, and are the masters of maritime Special Operations. SEALs are required to utilize a combination of specialized training, equipment, and tactics in completion of Special Operation missions worldwide. Navy SEAL Training includes such disciplines as unconventional warfare, direct action missions, combating terrorism, special reconnaissance, foreign internal defense, information warfare, security assistance, counter-drug operations, personnel recovery, and hydrographic reconnaissance. 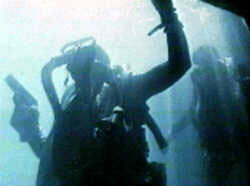 The proven ability of Navy SEALs to operate across the spectrum of conflict and in operations other than war in a controlled manner, and their ability to provide real time intelligence and eyes on target, offer decision makers immediate and virtually unlimited options in the face of rapidly changing crises around the world. SPECWAROPS provides military and civilian personnel with the same small unit tactical training that the real operators receive at the Naval Special Warfare Center in Coronado, California. Taught in phases just like at BUD/S, Navy SEAL Training is equally demanding of your intellect as your physical talents. The goal at SPECWAROPS is to teach our students real-world skills from real-world operators in a real-world environment.